Another day, another long-standing American institution revealing it has learned absolutely nothing. After Kevin Hart’s decision to relinquish his duties as host after coming under fire for homophobic tweets, and not even a year after the #MeToo movement exposed the depths of bigotry and sexism in Hollywood to the world, the Academy of Motion Pictures Arts & Sciences is out of ideas. Deep in the throes of desperation, the Academy, according to sources familiar with the situation, has reached out to a bevy of Hart’s peers, Tracee Ellis Ross, Taraji P. Henson, Lupita Nyongo, and Viola Davis among them. 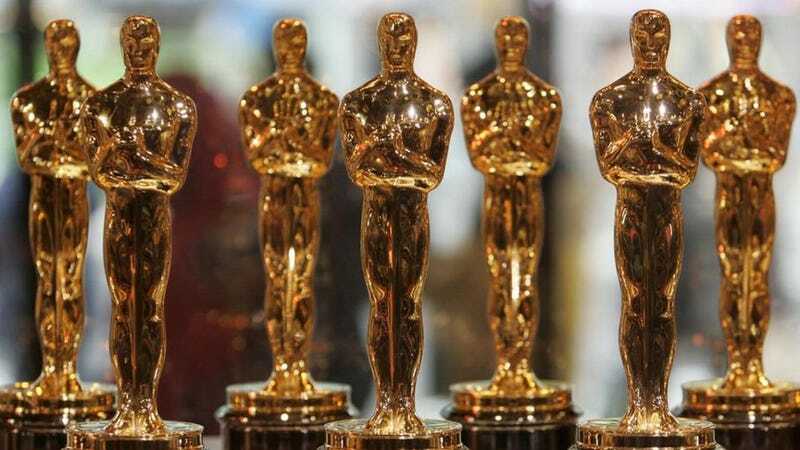 High among their options, according to Variety, the Academy has considered going host-less, wrangling an ensemble, Saturday Night Live-style cast of major celebrities and buzz worthy names to throw to commercial. SNL, for those keeping score at home, has declined in ratings from year to year all but twice since 1987. “They’re freaking out,” said a top comedy agent of the Academy. While no contingency plans were in place, planners considered late-night hosts before opting for a safer, less potentially edgy host after last year’s viewership dipped by 19 percent. The Academy, which could not be reached for comment (or Google ‘host for Oscars but a woman?’) had hoped Hart would show contrition and apologize for his old Tweets. I bet Hart feels the same way.